It’s all rain and grey here. Intermittent showers, moody soundtracks by nouveau French chanteuses, lamplit remnants of homemade pizza dinner, and a sombre sort of tone to the start of December. Times like are usually punctuated by the fruit world with a meagre representation; oranges, limes, various citrus, and with luck the odd orchard-brown apple… luckily, I live in warmer climes. 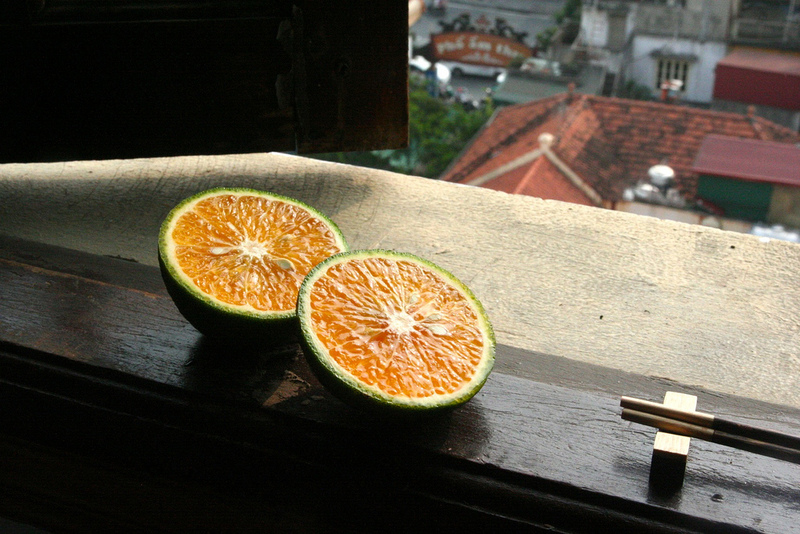 And it’s not that I don’t miss the fleshy sand of a good pear (I do), but seeing as my windowsill is laden with fragrant mangosteens, young pineapple, mangoes, and perfect tomatoes, it’s a unique perspective to view a gloomy winter from, and I’m definitely not complaining. blessings is on the living, but I can’t help but feel flustered by the generosity and I’m planning some sort of sumptuous festive chocolate gift for those ladies already. Maybe I’ll pass it by the altar first. I think they would appreciate that. Some fruits here I can’t imagine appreciating better than by simply eating them. Even the excavation that starts the salivation through the fingers and the dexterity-source of the brain alone – this is part of the process. Heaven forbid I should attempt any such operation without the hand-holding and aged wisdom of some practiced ancient auntie! Even still, I do sometimes find myself merrily cooking with fruit. The tiny pineapples take well to grilling, and taste otherworldly charred in hot oil with green onion, thin sliced beef, eggplant, okra and tomato, sopped with crusty french loaves and cooked on the spot in greasy and cheerful streetside restaurants alongside what seems like every dating couple in Hanoi. The bananas are more than splendid, and don’t even need salt to taste complete – I use them often, and happily, as a base for impromptu desserts or just a topping on toast. 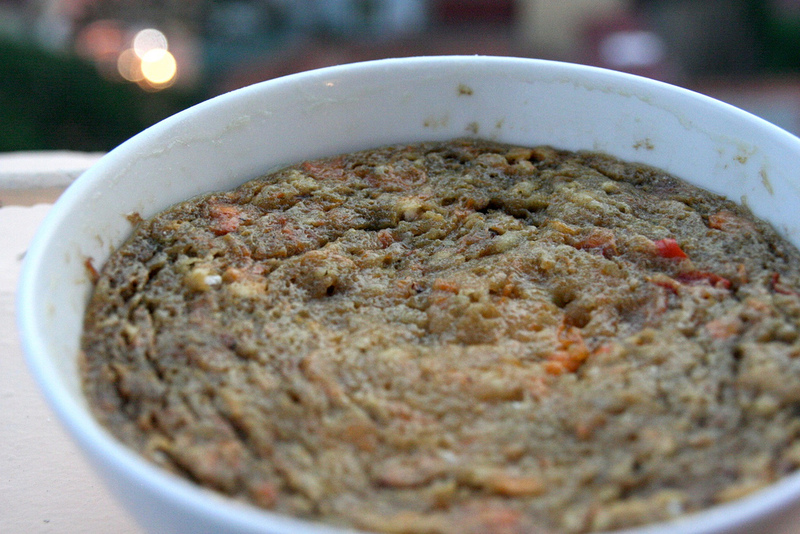 Grease and flour a large flat bowl or microwave safe baking dish. Sift the first five dry ingredients in a large mixing bowl. Make a well in the centre, then stir in the oil, eggs, liquor, persimmon puree, zest, then the nuts and fruits. Microwave for 4-5 minutes on high, or until the centre is set – it might need more time, or less, depending on your microwave. Keep checking it! (If you’re using an oven, bake in a preheated oven at 350 degrees for 30-40 minutes). Cool for 5 minutes before turning out onto a plate. Serve warm, with ice cream or a bit of whipped cream. 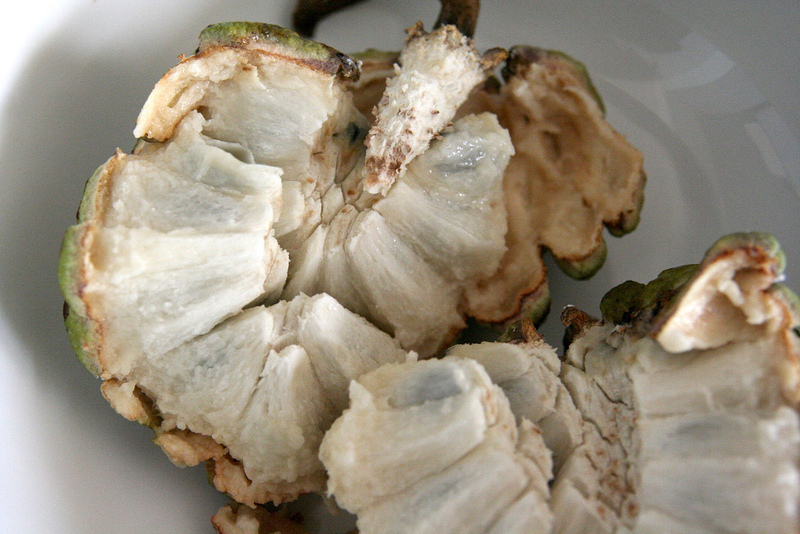 I was so enchanted with them too when I first cut them open. And, they’re really mild and refreshing and they have big, um, cells inside (if you know what I mean). Perfect in hot weather! FRUIT, man. 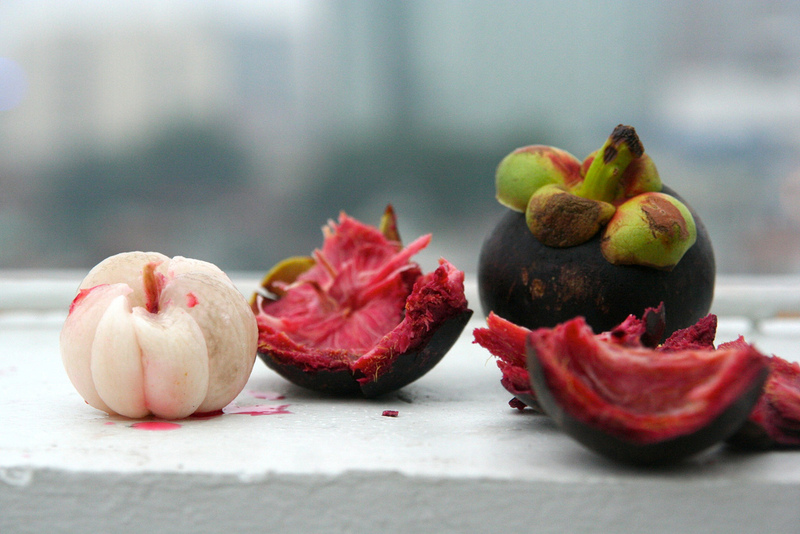 I don’t think I’ve ever had mangosteen at all. But the farmer’s market is definitely FULL of persimmons here. Yay! 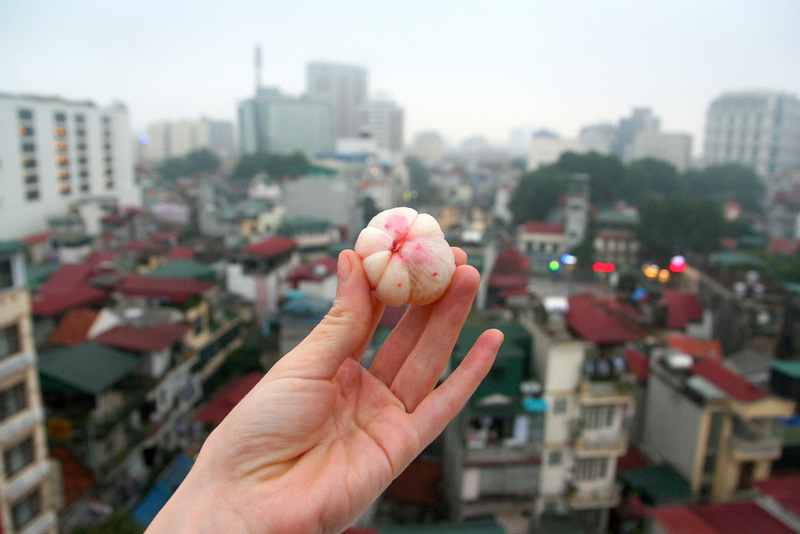 It was my first mangosteen, too! 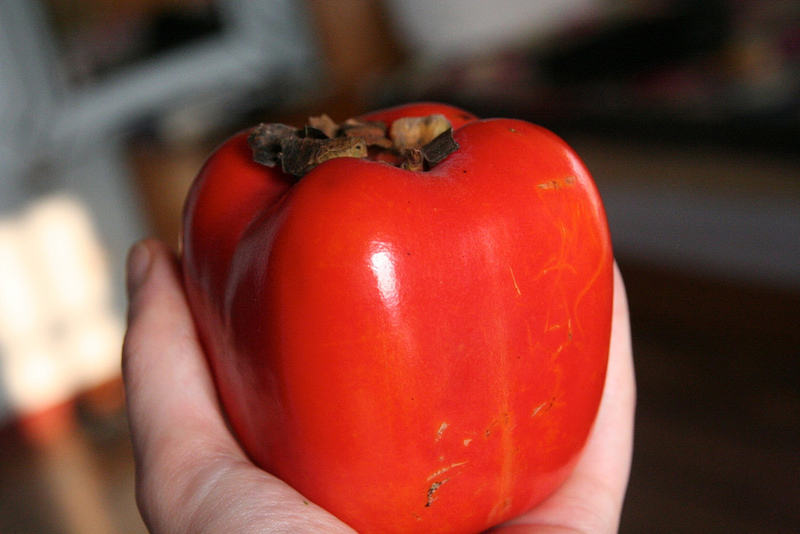 I kept putting off trying it, waiting for the right time… and, I’m also really glad to hear that persimmons are actually in season back home! 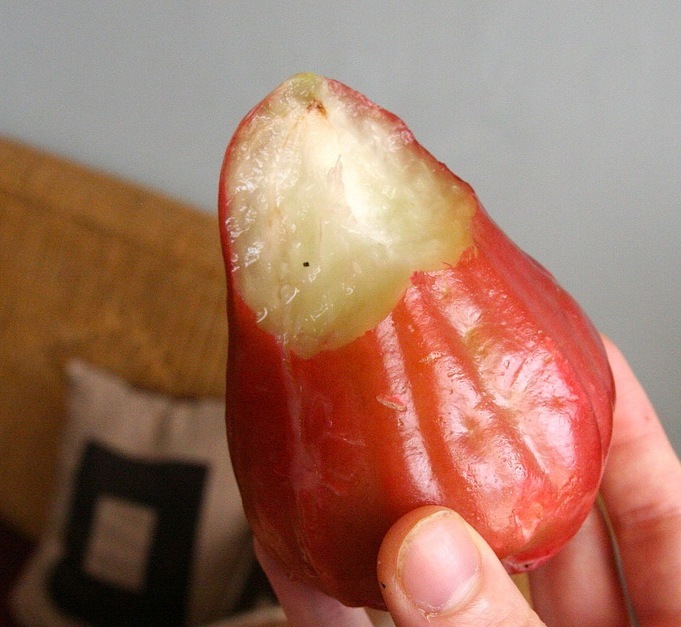 I was just going to do a post on my blog about mangosteens and polemos but you beat me to it :-). 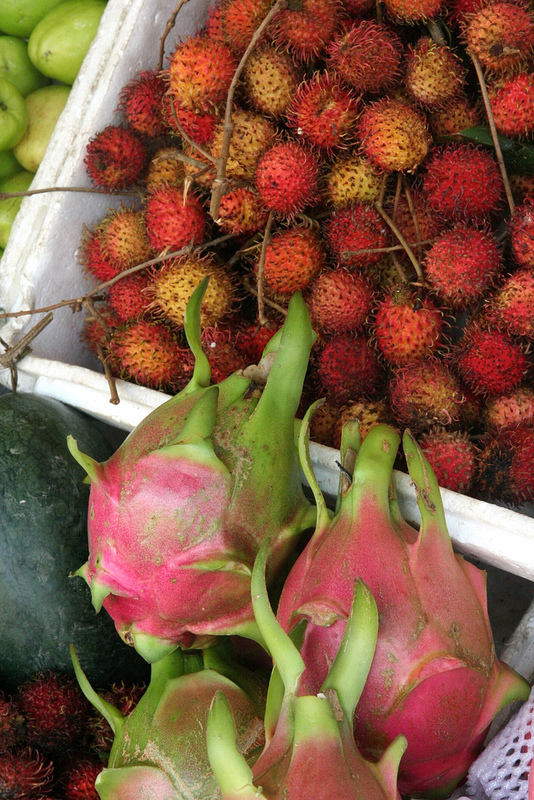 Mangosteens are my favourite fruits of all time! 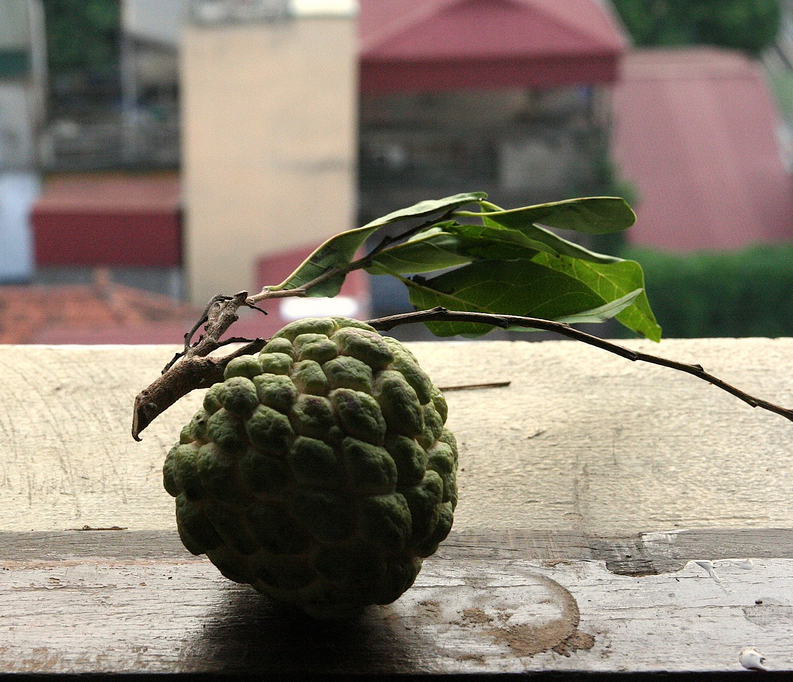 They are called the queen of fruits here, alongside with durians that are the king of fruits. I have a whole bag at home waiting for me. Might make a salad with these. Yum! 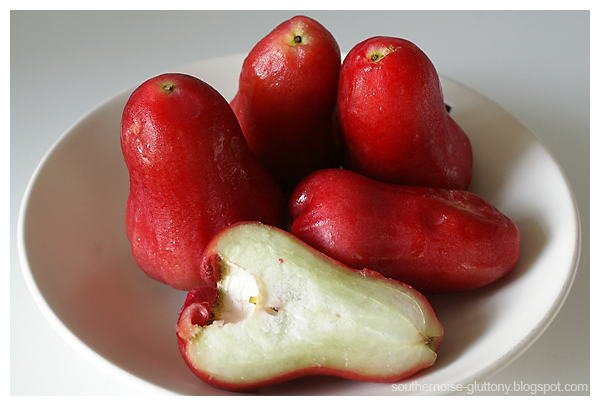 Oh my goodness, absolutely do not let this stop you from saying your own words about mangosteens and such! The world needs every ounce of creativity it can get, and I’m dying to know what kind of salad you might make with them! Hey, no problem. I’m sure if you ever baked anything with persimmons, you’d A: love the taste and the ease of it, and B: do something rad creative!